I don't have a ton of accessible memories of when I was a young child. 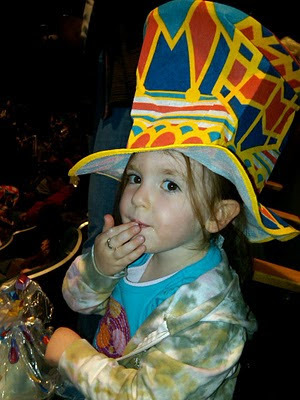 One of the fondest memories I can recall, is of me, my little brother and my mom, taking a trip to see the Ringling Brothers Circus at Nassau Coliseum on Long Island. My Mother was a single parent and we didn't have a lot of money but I can assure you that the money was well spent; her return on investment cashed out in smiles. In those days, I would imagine that smiles were worth a lot more to her, than the price of admission. 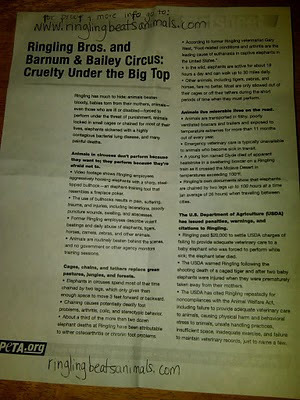 "Animals in Circuses don't perform because they want to; they perform because they're afraid not to." "Video footage shows Ringling employees aggressively hooking elephants with a sharp, steel tipped bullhook. The use of bullhooks results in pain, suffering, trauma and injuries, including lacerations, bloody puncture wounds, swelling and abscesses." "A young lion named Clyde died of apparent heatstroke in a sweltering boxcar on a Ringling train as it crossed the Mojave Desert in temperatures exceeding 100 degrees F."
"Elephants in Circuses spend most of their time chained by two legs, which only gives them enough space to move 3 feet forward or backward." "Former Ringling employees describe violent beatings and daily abuse of elephants, tigers, horses, camels, zebras and other animals."